Glycerin in Natural Soap | Be Natural Soap | Made in Aotearoa, NZ. Finding natural solutions for beauty products, especially soap, can be very tricky if you do not know what you should be looking for. When choosing soaps, it is highly recommended that you choose an option that contains glycerin. Why is glycerin in natural soap? It may sound like a synthetic product, but it is a product that is naturally occurring. This will help you to not only understand what glycerin is but to also know why you find glycerin in natural soap. Glycerin is actually a product that naturally occurs when you make soap. When natural oils and lye come together, glycerin is the end result of that combination. Commercial soaps sometimes take out this naturally occurring ingredient so that they can use it in other products. There are also some soaps that have the glycerin in them from when the soap was made but they also added more glycerin in them to give the user more of the benefit that you get from using glycerin. You will find that there are quite a few different types of glycerin soap, so you may take some trial and error before you find the perfect blend of ingredients for your skin. Is Glycerin in natural soap good? 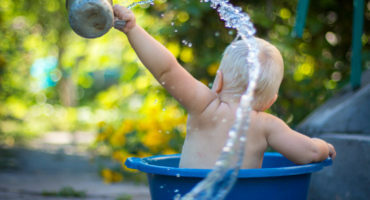 Now you know what glycerin is and why it is found in natural soaps, but you should also know what benefits you get from using products with glycerin in it. 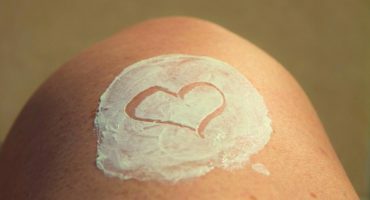 One benefit is that glycerin is very gentle on skin, which makes it an excellent choice for those who have sensitive skin or skin that is really dry. Some studies show that glycerin in natural soap also has a lower pH than other types of soaps. This is a big benefit because it allows your skin to retain any natural moisture that it has. These are all important benefits because a good skincare routine requires you to have well-moisturized skin. When you have skin that is adequately moisturized, you will have healthy skin. This can prevent issues like tears in your skin, stretchmarks, and wrinkles. It is also great for your face because it can moisturize your skin while cleaning it, without clogging your pores. Clogged pores lead to problems like acne and blackheads, so finding a high-quality soap that nourishes your facial skin and moisturizes it will be your best step in prevention. Dermatologists recommend that people use soap with glycerin in it to give your skin the moisture and clean that it needs. Handmade soaps give you natural glycerin as well as using only the most natural of ingredients, which is such an important consideration when people are looking for soap. 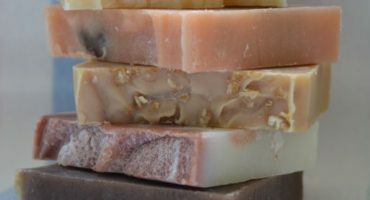 Natural soap is a great solution for people who have dry or sensitive skin or have various skin conditions that can be made worse by using the wrong type of soap. Next time you are trying to find the perfect bar of soap, a natural soap can give you amazing results. Natural soap can often far exceed the results of the more name brand options that you are familiar with. And of course, Be Natural’s entire range of liquid and solid soaps all contain glycerin!